I spent easter in the Lyngen Alps area of Norway, this alpine landscape has seemingly endless possibilities which are untapped by the masses. 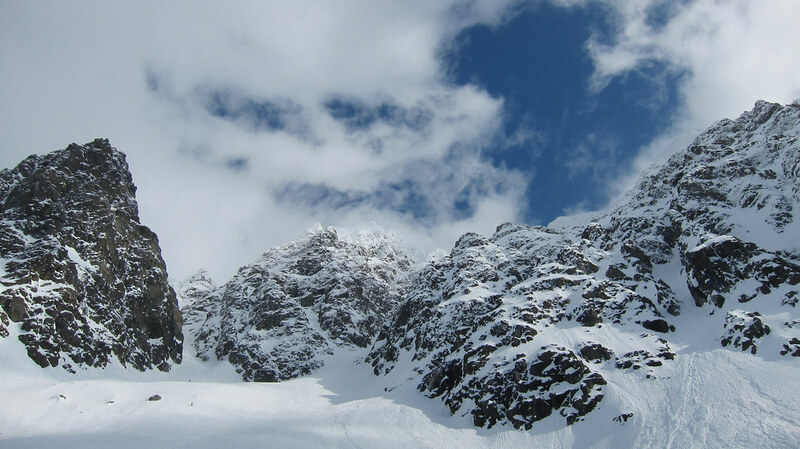 It is difficult to get to, in a foreign land and the peaks are relatively extreme. Here are some tips for doing it yourself on the relative* cheap. Take a flight to Tromsø, sas and norwegian fly there. You will most likely be flying from outside Norway, take a flight to Oslo first then there are direct flights to Tromsø from there. There is also apparently a direct flight from Riga (Norwegian sun seekers flight), so if you can get there it can be a cheap option. 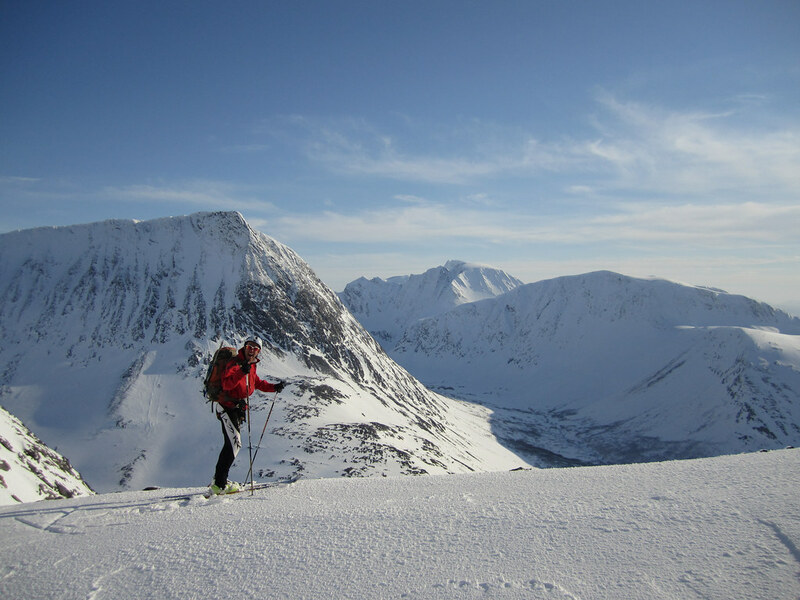 Lyngen has been made famous in the international skiing community by the lyngen lodge with stories of skiing direct to and from the boat! This looks like an excellent holiday which you should for sure do if you can afford it. They also seem to spend a bit of time in Kafjord (across the water from Lyngen) which can sometimes have better snow. In reality, most of the big, famous peaks are best accessed by car. So hiring a car from Tromsø is likely the best plan. The regular suspects of Avis, Sixt and Hertz operate from there. Shop around. If you are looking to go a bit cheaper there is a DNT Cabin and at least one unlocked independent hut in the area (Fastdalshytta). These are like posh bothies, and you need a special key to get into the DNT hut. 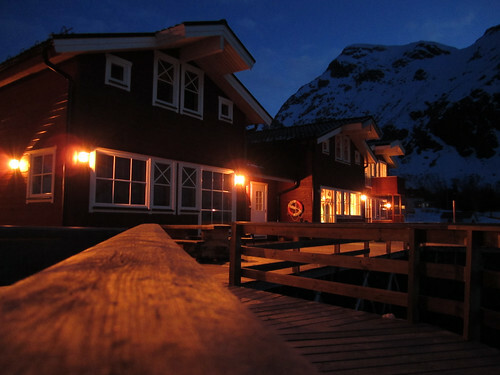 It is about £11 GBP per night to stay in Jægervasshytta . There are some sweet peaks which can be accessed direct from this hut. A free option is to go for some camping action. You need to be pretty hardy but there are some good spots in the south west side of the lyngen alps (near Lakselvbukt a bit further south near the alley entrance Ellendalen). Lyngen Alps Turkart 1:50000 – this is the best map to get. Toppturer i Norge by Friflyt – The bible for ski mountaineering (top tours) throughout Norway with quite a few in Lyngen and the surrounding area. Toppturer i Troms by Friflyt – A new book describing toppturer in the Troms area of Norway. 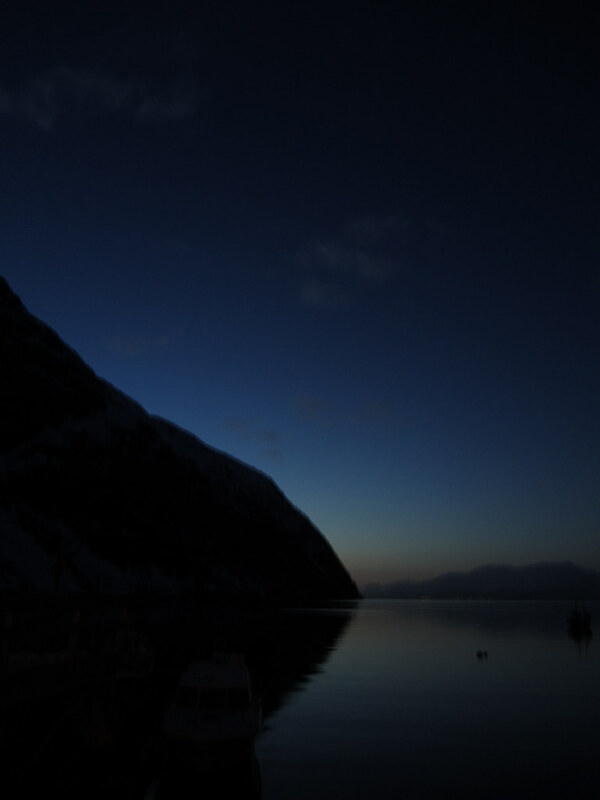 Has an extensive section on Lyngen. Here is a video compilation of our recent trip to the Lyngen Alps for Easter 2011. Have a good trip if you are going and give me a shout if you have any questions.